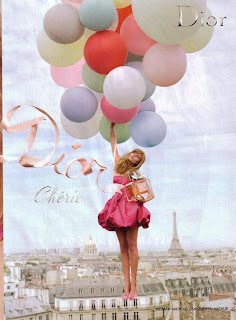 I recently became obsessed with Sophia Coppola's Miss Dior Cherie commercial. It truly made me want to escape to the 16th arrondissement and have un croissant with Karl. 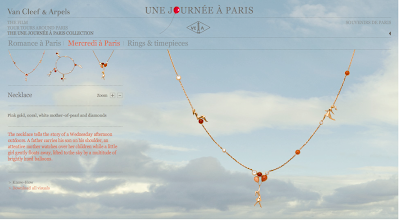 Then, I came across a similar advertisement for Van Cleef and Arpel's new Une Journee a Paris collection which features possibly the cutest necklace ever with a girl floating around your neck on balloons. As one does when they go to Paris? Just for the record, last time I was in Paris I didn't see one pastel balloon. Regardless, these confections have become a perfect fantasy for the City of Light. Don't you just want to walk around Paris with this necklace on, while smelling of Miss Dior Cherie and crepes?